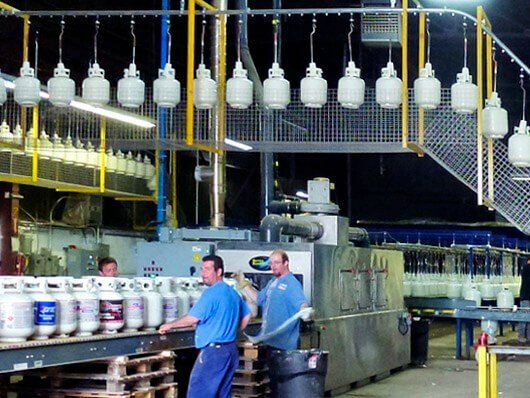 PACLINE has a variety of conveyors that offer excellent solutions for handling products through paint and other finishing operations. 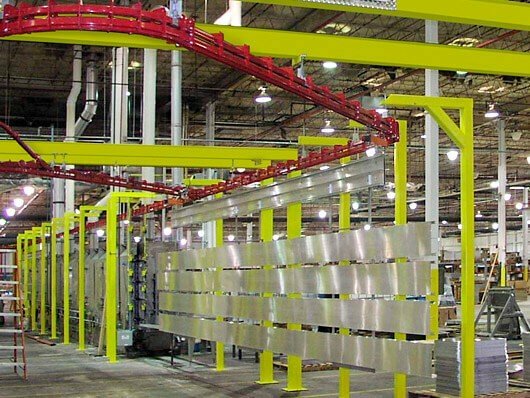 The type of conveyor selected for your operation will depend on the weight, size and even the shape of the items being conveyed as well as the type of finishing process being applied. 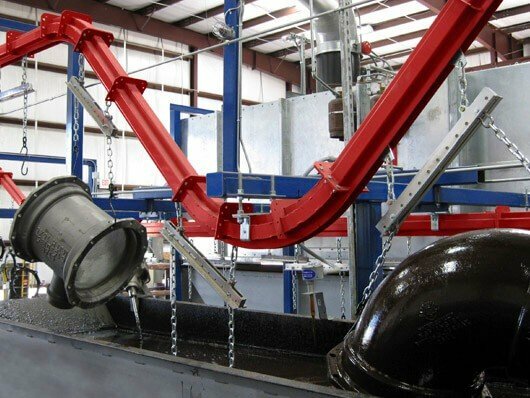 PACLINE provides conveyor systems for powder coating, wet spray, dip line and E-coat paint and finishing applications. 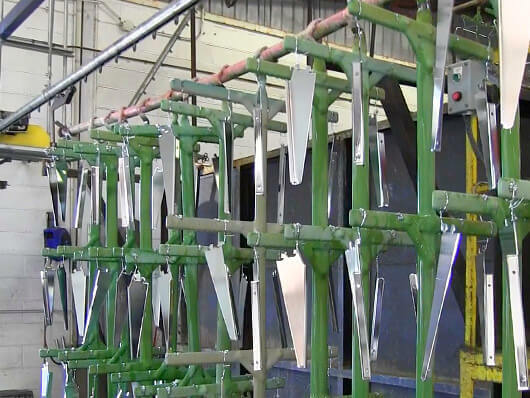 Overhead conveyors are the most commonly used conveyor type for paint finishing. Our PAC-LINE™, PAC-MAX™ and Power and Free systems all have an enclosed track design which helps prevent contaminants from reaching the chain and bearing surfaces. 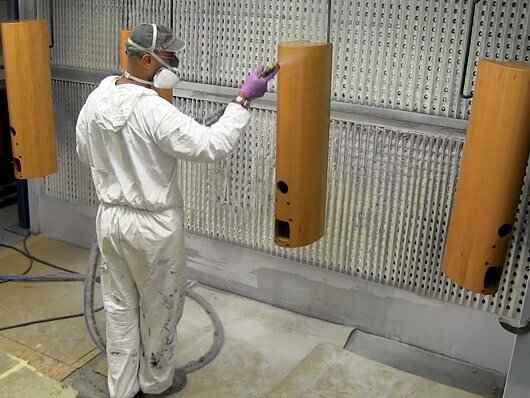 This feature is particularly important in finishing processes where paint and chemical overspray can create a build-up that can adversely affect the operating ability of any conveyor components that are not protected. For high quality painting applications or when sanitary conditions must be maintained, the PAC-MAX™ high-capacity conveyor can be inverted (slot up) or installed slot sideways. This conveyor set-up ensures that no drip from the part holder or carrier will come in contact with the painted parts. For certain items such as wood furniture, which can be awkward to convey due to their shape or size, the PAC-TRAK™ towline conveyor offers a convenient means of holding, conveying and rotating these items through the various finishing processes. All of our conveyors can withstand temperatures of up to 600° F.
PACLINE conveyors can offer 9 inch horizontal radii (the smallest in the industry). This feature helps reduce the size requirements of ovens, spray booths and other process equipment. PACLINE offers enclosed track or I-Beam monorail conveyors and conveyors with inverted or slot down configurations. 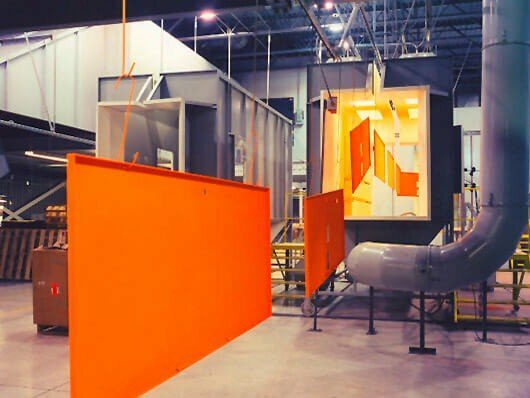 PACLINE’s Power and Free Overhead Conveyors are well-suited for finishing lines where products need to be routed to multiple spray booths or where accumulation in an oven or elsewhere is advantageous.